The abuse of the powerful prescription pain killer OxyContin is a growing problem all across the United States. 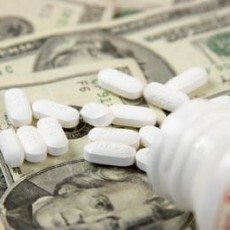 Oxycodone products, such as OxyContin, are some of the most popular and frequently abused pharmaceuticals in the world. Over the last decade, OxyContin abuse has skyrocketed in many areas of the United States and has accounted for thousands of overdose deaths during that time period. While OxyContin is a powerful and effective pain reliever for those who need it, it is also one of the most addictive and dangerous drugs in the world. OxyContin is the brand name for oxycodone hydrochloride and was first introduced in 1995. OxyContin is a powerful pain reliever and is only prescribed for treatment of severe pain disorders. Besides pain, OxyContin can also decrease anxiety, cause euphoria, and mental relaxation. OxyContin is primarily used to treat trauma, injuries, muscle pain, fractures, dislocations, arthritis, lower back pain, and pain associated with cancer. However, because of OxyContin’s powerful pain relieving effects it comes with the high risk of misuse, abuse and addiction. Since the introduction of OxyContin in 1995, OxyContin has been one of the most widely abused drugs on the planet. OxyContin is often taken orally or injected by breaking the drug up into the powder form, by-passing the time release mechanism. This gives users an instant, more potent high, similar to the rush experienced while taking heroin. Because of this powerful high, the mind and body can easily become obsessed with these effects and strong physical cravings and dependency can occur. Sudden stoppage of OxyContin can result in serious withdrawal symptoms that are similar to heroin withdrawal. These symptoms may include restlessness, anxiety, nausea, vomiting, perspiration, abdominal cramps, insomnia, increased blood pressure and increased heart rate. OxyContin abuse can also lead to respiratory depression, which can pose a major risk to your respiratory system or even death. OxyContin may also cause severe hypertension in patients with low blood pressure. OxyContin should never be taking in combination with any other drug especially alcohol and benzodiazepines. Mixing these drugs can lead to serious respiratory depression and put users at risk for heart failure and fatal overdose. While OxyContin addiction can be extremely powerful, there are numerous effective treatment options available. For users with severe OxyContin addiction withdrawal symptoms, you can try a medical detox treatment like Suboxone. Suboxone works to help ease withdrawal symptoms associated with an opiate dependency, and can give you the relief you need to finish out your treatment. Suboxone is often combined with other effective addiction treatments such as behavioral counseling and group therapy. There are also numerous inpatient and outpatient rehab facilities located all across the country that specialize in treating drug addictions. It is important to remember when facing any tough drug addiction, is that addiction is a disease. Because addiction is such a powerful disease it needs to be treated by experienced medical professionals. By seeking treatment for your addiction, you will be able to get the proper medical treatment and support you need to break your addiction once and for all.